Chronic inflammation and protein energy wasting (PEW) syndrome are common in kidney transplant recipients (KTR). The presence of inflammation and PEW syndrome can directly affect bone resorption and bone formation, leading to bone loss and fractures. We showed PEW is independently associated with new clinically detected bone fractures in prevalent KTR. Kidney transplant recipients (KTR) have a 4-fold higher risk of fracture compared to the general population. Chronic inflammation and PEW syndrome are common in KTR and are associated with poor outcomes. We hypothesized that the Malnutrition–Inflammation Score (MIS), a validated measure of PEW, is associated with higher risk of bone fractures in KTR. This prospective cohort study included 839 prevalent KTR from a Central European academic center. MIS, a semiquantitative instrument of PEW, was calculated at the study entry. Self-reported history of fractures was recorded during the 2-year follow-up period. 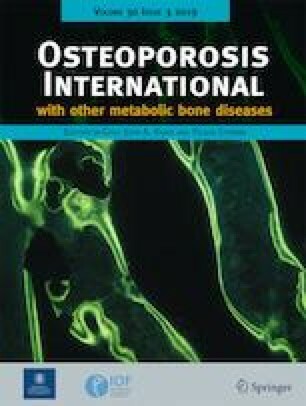 The association between MIS and bone fractures was examined in logistic regression analyses with adjustment for age, gender, eGFR, smoking habits, history of pre-transplant bone fractures, and acute rejection. Mean age was 51 ± 13 years, and 56% of patients were males with median (interquartile range) transplant vintage 69 (38–112) months, estimated glomerular filtration rate 55 ± 21 ml/min/1.73 m2, and calculated MIS 3 (2–4) at enrollment. 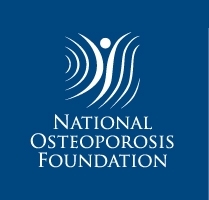 Fifty-five (7%) patients experienced self-reported bone fractures during the 2-year follow-up period. Higher MIS score showed linear association with increased risk of fracture. Each one-point higher MIS was associated with 23% higher risk of bone fractures (odds ratio (OR) and 95% CI 1.23, 1.12–1.34), which remained significant after multivariable adjustments (OR 1.17, 95% CI 1.06–1.29). The MIS is independently associated with new clinically detected bone fractures in prevalent KTR. The online version of this article ( https://doi.org/10.1007/s00198-018-4774-4) contains supplementary material, which is available to authorized users. The authors thank the patients and the staff in the Department of Transplantation and Surgery, Semmelweis University, Budapest, Hungary. This article was written by Drs. A.G. and M.Z.M. in the framework of the Advisory Program of the ERA-EDTA YNP (Young Nephrologists’ Platform) which is an official body of the ERA-EDTA (European Renal Association–European Dialysis and Transplant Association). Dr. A.G. was an advisee of ERA-EDTA YNP Adviser-Advisee Program (Adviser Dr. M.Z.M.). Dr. A.G. also was supported by the International Society of Nephrology (ISN) research fellowship program. This study was supported by grants from the National Research Fund of Hungary (OTKA) (F-68841; KTIA-OTKA-EU 7KP-HUMAN-MB08-A-81231), ETT (Medical Research Council, 206/09), the Hungarian Kidney Foundation, Hungarian Society of Hypertension, Hungarian Society of Nephrology, and the Foundation for Prevention in Medicine. This work has been made possible through an ISN-funded fellowship. The study was approved by the Institutional Ethics Committee (49/2006 and 14-03481-XM) of the Semmelweis University and the University of Tennessee, and all patients provided written and verbal informed consent before enrollment. The clinical and research activities being reported are consistent with the Principles of the Declaration of Istanbul as outlined in the ”Declaration of Istanbul on Organ Trafficking and Transplant Tourism.” Patients were examined according to good medical and laboratory practice and in keeping with the recommendations set forth by the Declaration of Helsinki Guidelines for Biomedical Research Involving Human Subjects.